Military emergency surgical instruments kit. 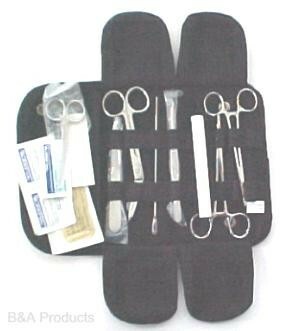 Contains scissors, tweezers, clamps, sutures and cutting instruments to perform minor emergency procedures. Instruments are in a canvas carrying case. 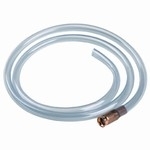 Ideal for emergency preparedness or hunting and fishing emergency care.